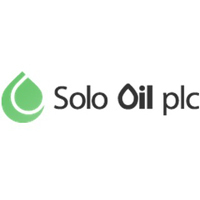 Solo Oil Plc (LON:SOLO) today announced board changes. Alastair Ferguson has now taken over as Non-Executive Chairman and Neil Ritson has retired as Executive Chairman and as a director of the Company and will assume the role of Technical Advisor. Dan Maling, previously the Company’s Finance Director, will take on the role of Managing Director with immediate effect. ‘I am very pleased to have been appointed to the Board and to take up the role of Non-Executive Chairman at the AGM. I look forward to working with Dan as Managing Director to bring a strong commercial and business focus to the Board that will help drive the monetization of our portfolio of assets.